Portland's Hawthorne Bridge looks fabulous. Thousands of Portland, Oregon residents spent the weekend showing their LGBT neighbors, family members, and friends that the city has got their back in response to a gay couple being attacked while holding hands crossing the Hawthorne Bridge. For those of you unfamiliar with the Pacific Northwest, let me just say this; Portland is gay. Very, very gay. 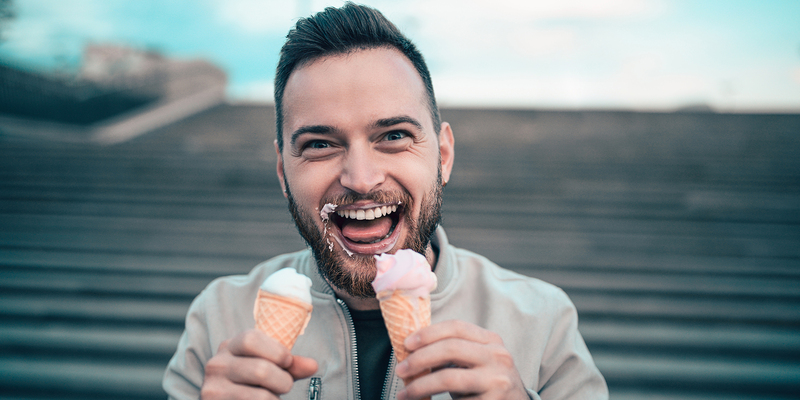 Attacks against gay people come with a shock equivalent of an erupting volcano. Crap like that just does not happen up here. 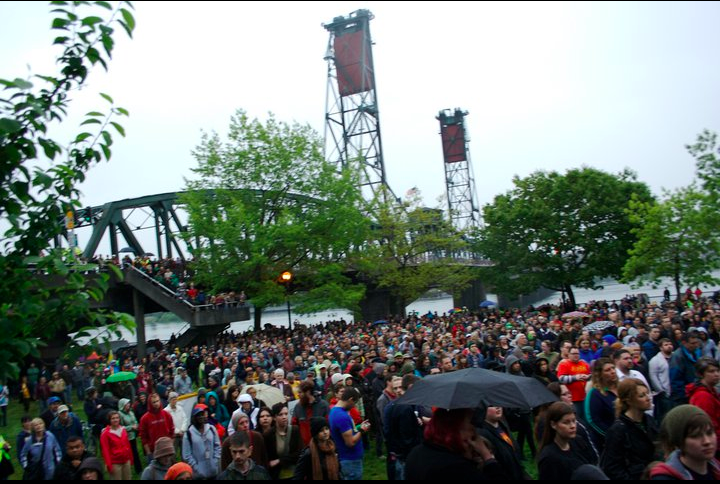 More than 4,000 people of all ages and identities gathered in the rain Sunday night to hold hands on the Hawthorne Bridge, according to Ernesto Dominguez of Cascade AIDS Project. The demonstration was an act of solidarity with two gay men who were apparently attacked after doing just that on the Eastside Esplanade the previous Sunday. Demonstrators packed into the space beneath the west side of the bridge at about 7:30 p.m., spilling over onto the ramp and stairs to hear from the attack’s survivors, Brad Forkner and Christopher Rosevear. Afterward, the crowd filed down both sides of the bridge with hands held. Despite being tightly packed together, some attendees could not fit on the bridge.